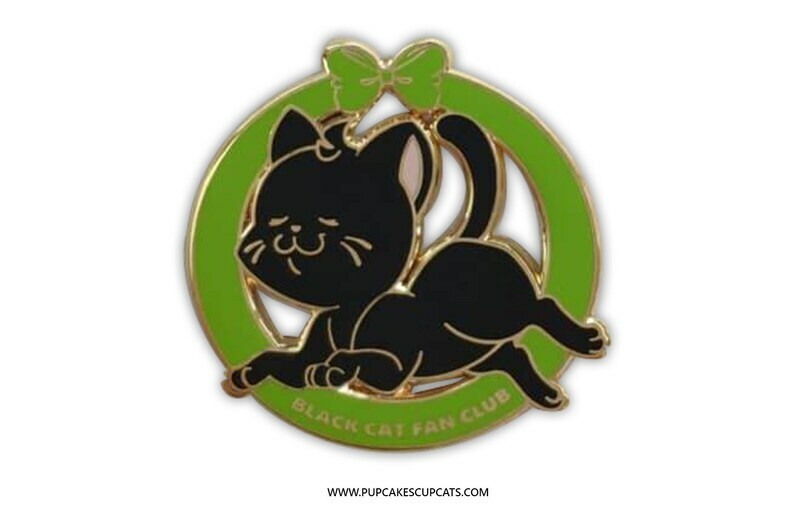 An Enamel Pin perfect for showing your love of Black Cats! This pin measures 1.75" tall, and is made of hard enamel with a raised gold finish. Each pin has two rubber backings for a secure soft grip!